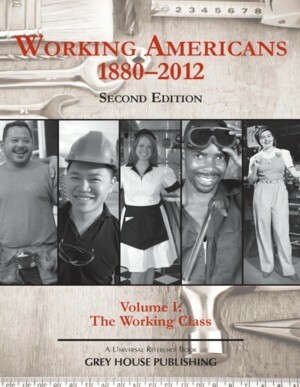 Working Americans 1880-1999 Volume III: The Upper Class explores the lives of the very rich, focusing on those in the top 5 percent of America’s income level, including what they spent their money on, their ability to influence their communities, build companies through the timely infusion of capital, as well as their desire to party in Palm Beach or associate with the Dukes, Astors and Vanderbilts. Volume III: The Upper Class includes families whose only concern is making money, families whose only wish is to spend it, and even some who are on the verge of losing the status often bestowed by wealth through bankruptcy. 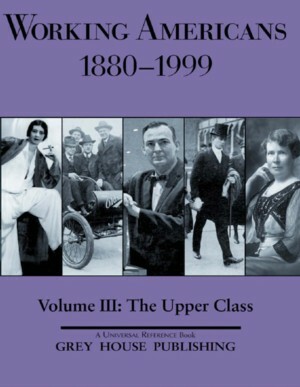 From the wealth of government surveys, social worker histories, economic data, family diaries and letters, newspaper and magazine features, this unique reference assembles a remarkably personal and realistic look at the lives of Americans in the upper class. Family Profiles: Profiles examine life at home, at work and in the community. The highly readable narrative is supported by hard facts and real life situations drawn from diaries, private print books, family histories, estate documents, magazine articles and more. These intriguing profiles are further supplemented with information on current events, community issues, pricing of the times and news articles to give the reader a broader understanding of what was happening in the family’s world and how it shaped their life. Historical Snapshots: Chronicles major events and milestones, allowing the reader to develop a broader understanding of the time period. Timelines: Defines the background and key events of a particular issue important to the time period. News Features: Excerpted from the local media, these interesting articles bring to life current issues in society that affected average working Americans. Selected Prices: Examines what things cost during the time period, to further enrich the reader’s understanding of how working Americans spent their paychecks. Prices include food items, clothing, jewelry and so much more. Illustrations: Photographs, news clippings, advertisements, postcards, posters, quotes, songs and cartoons, add interest to each chapter and depth to the reader’s understanding of the world that the family or individual lived in. 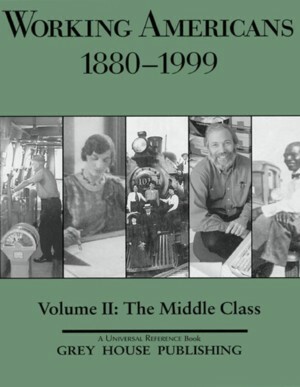 Working Americans, 1880-1999: Volume III - The Upper Class presents an interesting and useful compilation of portraits of the middle class and will be an important addition to any high school, public or academic library reference collection. This edition comes with FREE ONLINE ACCESS on the popular Salem Press platform, http://online.salempress.com. With unlimited users and remote access included, your students and researchers can now search this amazing collection of data, anytime & anywhere, all just a click away. “ “This is a wonderful teaching tool with an engaging layout and fact-filled content"
Working Americans: The Middle Class enhances our understanding of the development of the middle class over more than a century. Profiles explain the workings of a middle class family, describing life at work and at home and how they interacted with their community. A unique portrait of the lifestyles of middle class families that is not available in any other resource. Working Americans: The Working Class highlights the lifestyles and economic life of working class families - the kind of work they did, the homes they lived in, the food and clothes they bought, the entertainment they sought as well as the society and history that shaped the world Americans worked in from 1880-2012. 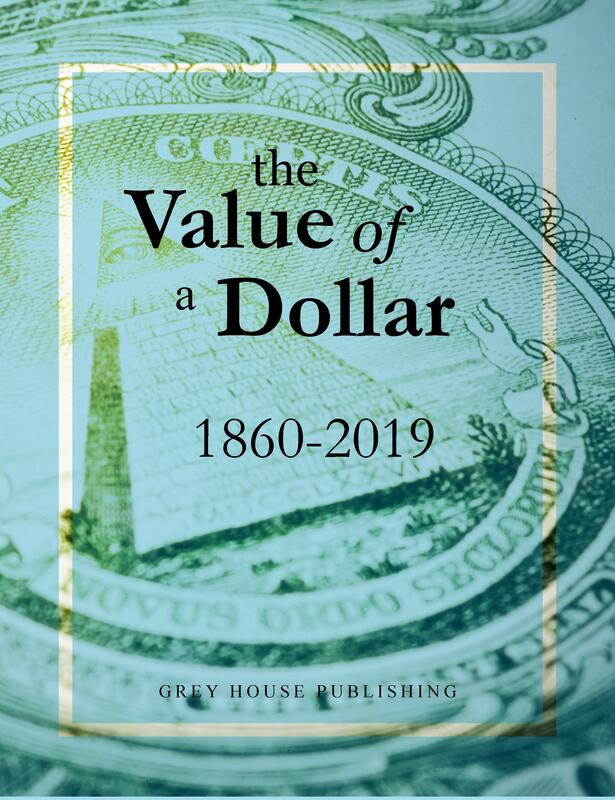 A century and a half of America’s consumer economy in one easy-to-use volume, The Value of a Dollar records the prices of thousands of items purchased from the Civil War to the present, along with facts about investment options and income opportunities.